Take part in an abseil experience for Pancreatic Cancer Action! 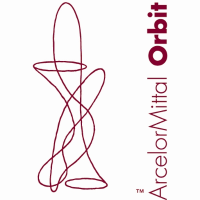 Abseil down London’s ArcelorMittal Orbit – the tallest sculpture in the UK! This challenge is perfect for adventurous fundraisers eager to enjoy the ultimate urban adventure experience while raising lots of money for PCA! 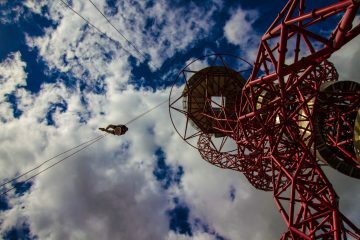 On a clear day it is possible to have stunning 20-mile views across London, before you abseil for charity 80 metres down from the iconic ArcelorMittal Orbit sculpture. Our staff will look after you every step of the way, making sure you feel confident and reassured. This is definitely a ‘daredevil’ experience and a major challenge to raise money for a worthwhile cause. We will support you and ensure it’s an unforgettable experience which you will cherish forever. The charity abseil utilises the safest triplicate rigging systems available. Wire & Sky have painstakingly designed and installed the experience to ensure maximum fun in a safe and controlled environment. The whole experience will take an hour and you will be put together in groups of up to five who will set off every 30 minutes. Feel free to bring along a friend or book a larger group in. View the Safety leaflet here. To view the available dates and to sign up visit the Wire and Sky website here!